Niemla Automotive is catering to the CV industry’s seating solution needs. A supplier of automotive seat fabrics and covers, Niemla Automotive has developed lightweight flat jacquard fabric for CV applications. Claimed to contribute towards weight reduction of a CV, the flat jacguard fabric is currently being tested by a Swedish bus maker in India. Contributing up to three to five per cent improvement in fuel efficiency, the fabric is expected to be out in the market by February 2019 as part of the vehicle. Manufacturing value-added water repellent, oil and stain resistant jacguard fabrics that have anti-bacterial properties and are plush in appearance, Niemla Automotive is catering to the CV industry’s seating solution needs. Offering fabrics that are fire-resistant (FR) and meet the exacting requirements of the seating system manufacturers and OEMs, the company is carving out a niche for itself in institutional and entertainment segments. Founded in 1932 as New India Embroidery Mills Limited, the company is drawing new customers in the bus-seating segment as the search for light weighting gains ground. Acquiring the automotive division of Raymond in 2014, Niemla has been offering top quality products at competitive prices. Catering to the needs of passenger vehicle and CV seating system producers, the company has been supplying flat Jacquard and velvet materials. 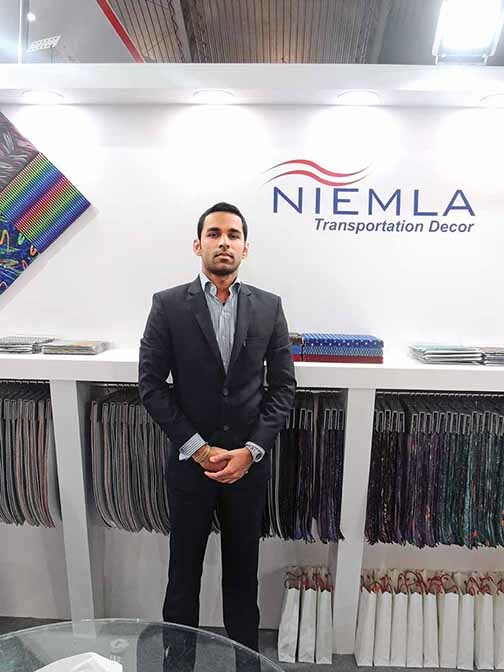 Serving clients like Harita Seatings and Sutlej Coach Products, Niemla, according to Armaan Mehra, CEO, is demolishing the myth that fabric made in India is not of the same quality as found in the advanced markets. “The prevalent prejudice among OEMs underestimates the quality of the fabric made in India,” he mentioned. To soon begin supplying fabrics to Maruti Suzuki, the company is addressing the needs of Volvo for carpets and curtains. The company is in advanced stages of discussion with Honda Cars India and Renault India as well. Supplying five to seven per cent of what it produces to the Indian Railways starting July 2018, Niemla is looking at a considerable play in the industry segment. Aiming to elevate the railways business to 15 to 20 per cent by 2020, the company, revealed Mehra, is looking at chair cars. An attractive proposition, according to Mehra, chair cars are refurbished every four to five months. Operating in the aftermarket through 25 distributors, Niemla is providing state of the art colour combinations. Content with the fact that Chinese companies do not pose a threat since they are not able to cope up with the requirements of the Indian seating industry because of high labour costs, the company has at its disposal a well engineered and executed manufacturing infrastructure. 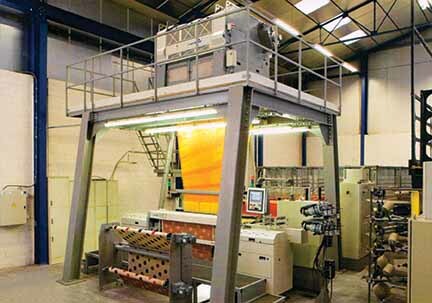 Exporting products to the US, Bangladesh and Turkey, the company has invested in 4D colours producing machinery. The current industry trend in comparison is 2D, according to Mehra. Striving to upgrade from 4D technology to 7D technology for Jacquard fabric by 2020, Niemla is also developing 3D dobby, contrary to the running 2D dobby fabric in the market. Pioneering the concept of manufacturing back-coated plush fabrics in India, the company is focusing on finished products by introducing stitched seat covers by 2020. Stating that the back coating on the fabric improves the binding strength of the pile-to-the-base fabric, Mehra said, “We are targeting the automotive upholstery market with back-coated plush fabrics.” “We are currently addressing the demand for office chairs and panels with it,” he added. 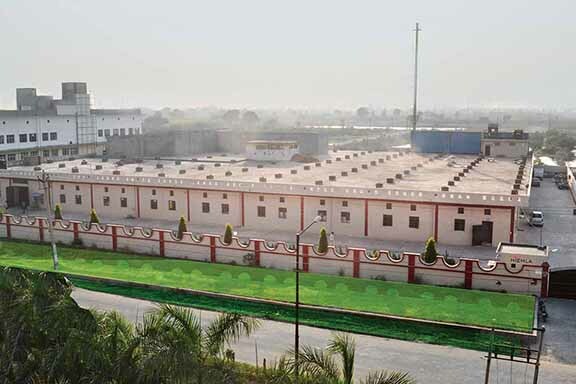 Operating manufacturing units at Ghaziabad and Sonipat, Niemla is also planning to set up another unit at Sonipat. It will have the latest technology equipment to manufacture advanced products that meet OEM demand. The new facility, according to Mehra, will also cater to exports of carpets and fabrics to the US market. In the US, the company is setting up a warehouse. This would help it to reach out of its clients. Expressed Mehra, “We plan to cross the Rs.100 crore mark by 2020. Our present business is in the region of Rs.50 to Rs.60 crores.